FIS Ameris is an innovative investment vehicle for the Chilean market that allows investors to support ventures that seek both financial and socio-environmental results. 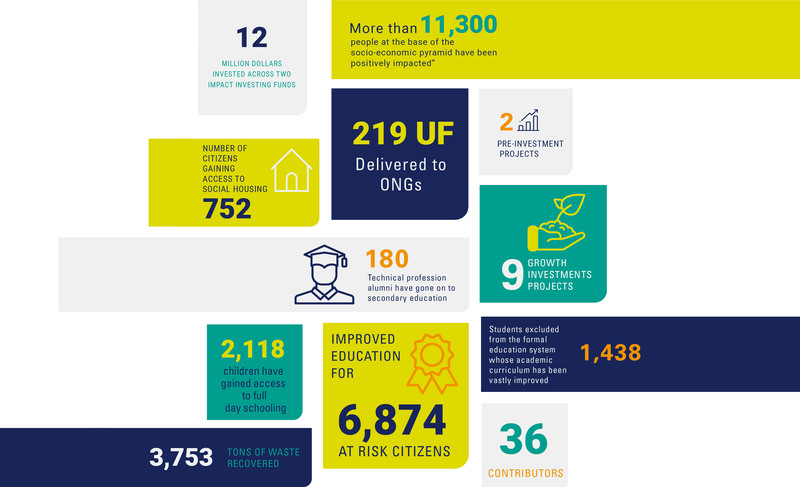 By actively connecting private investments with social responsibility, the fund has successfully increased the awareness and reach of the impact investing industry within the region. Since 2010, two impact investing funds, FIS and FIS 2.0 have been structured to invest in and support companies, corporations, and NGOs that aim to generate positive impact for those at the base of the socio-economic pyramid. These investments provide the financing necessary to grow and reach operational sustainability.